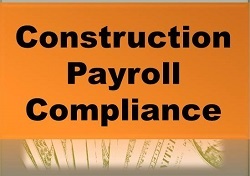 When a contractor makes the move from residential/commercial construction projects to government-funded construction projects, which have certified payroll reporting requirements, it can be overwhelming for the contractor, its office staff, and the accounting professionals who support them. This often complex requirement can lead to major problems, including non-approval of payment requisitions, denial of payment for change orders and claims, and contract termination. Speaker is well informed on subject matter. This was a very organized and well informative webinar.